I woke up this morning alone as Mr Ripe was away and as usual reached for my phone to have a look at the news of the day and that's when I read about Alan Rickman. Almost at the same time, eldest Ripe messaged, in shock. 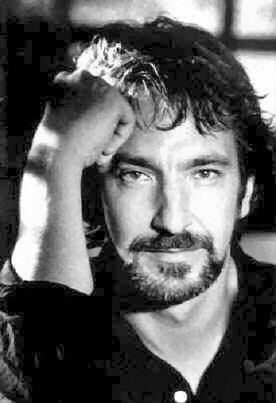 He was a big part of her childhood as Severus Snape. My memories of summer holidays when she and her brother were approaching their teens were of the excitement of another Potter book being released and whose turn it was to read it first. The first reader was forbidden to share any of the story until the other had read it so much of the summer was spent with one bursting to know and one bursting to tell until that sweet moment when they knew (I'd read it when they were asleep or doing other things) and we could all talk about it in great depth. 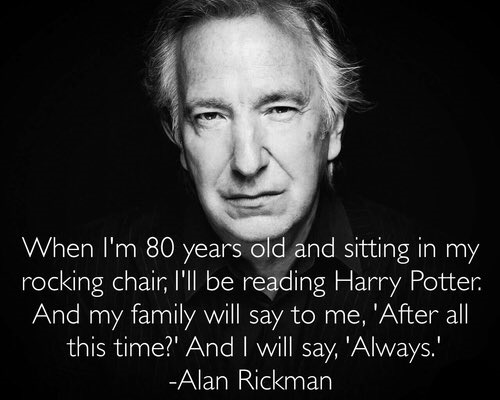 Sometimes there'd be gasps out loud from the first reader and one of those was the scene where Severus kills Dumbledore. 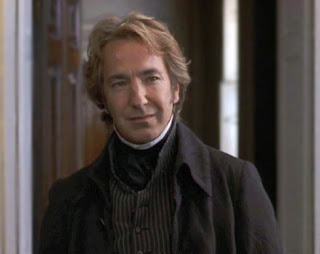 In bringing this beloved character to life, Alan met every expectation of my two young readers about what Severus was like in the flesh. 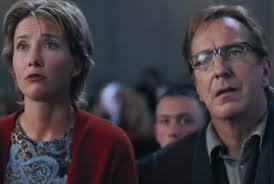 and of course as foolish, regretful Harry in Love Actually. Can anyone watch that scene after Emma Thompson finds the necklace without wanting to give Harry a swift kick in the balls? I think he would have been great fun at a dinner party. That languid, seductive voice that could also cut like a knife. I think he would have had great gossipy stories to tell and been a cheeky flirt. It's been a terrible week for farewells.